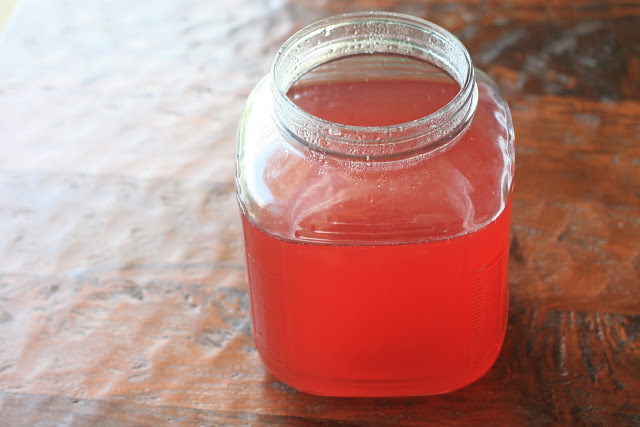 I had so much success with the Sima, that I wanted to try my hand at another Finnish fermented drink. 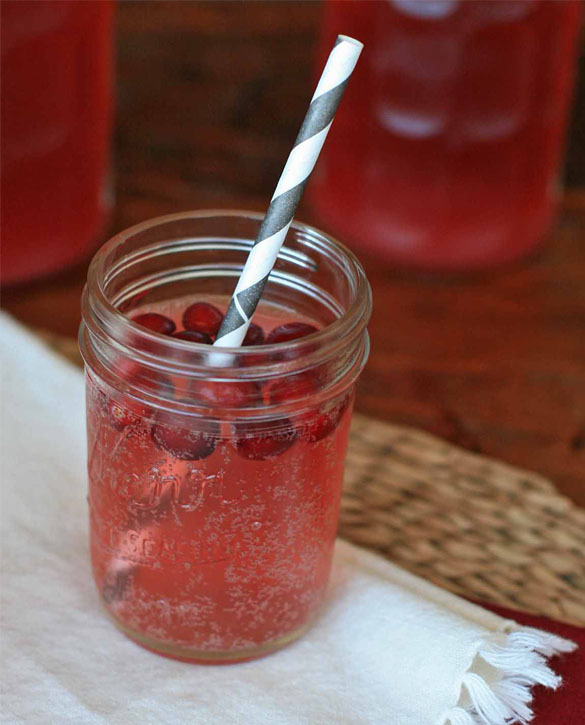 This time I choose a cranberry sparkle, made from just four ingredients: cranberry juice, water, sugar and yeast. 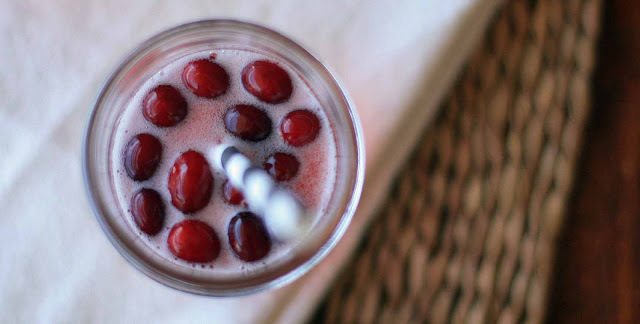 This drink takes a bit longer to mature than the Sima, but it’s even easier to make… you just need a little patience. 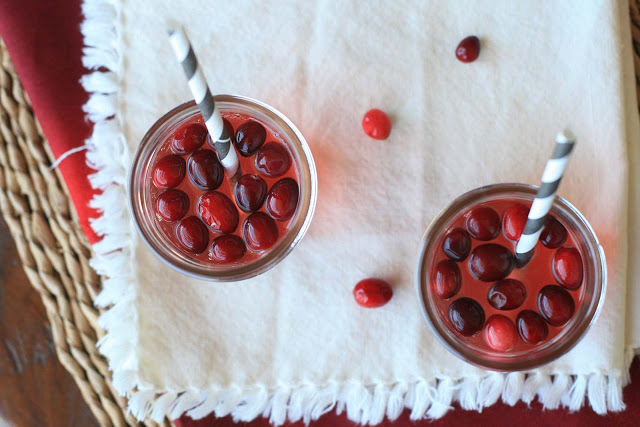 If you happen to have any cranberries stockpiled in the freezer, they make great, festive alternatives to ice cubes. In a large stock pot, heat the juice and and water to boiling. Add the sugar and stir to dissolve. Let stand until lukewarm, about 100 degrees Fahrenheit. Pour into a non-reactive container and add the yeast. Stir to mix. Let stand, partially covered, overnight or about 8 hours. 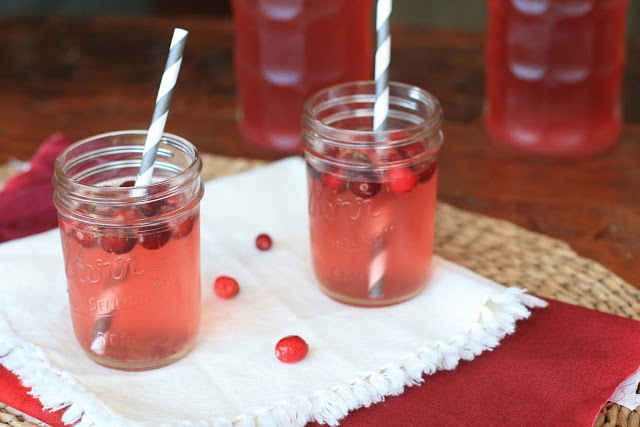 Pour into sterilized jars with an airtight cap. Let stand until the liquid has little bubbles. Chill and store in the refrigerator.